Are you open to the divine mystery? Are you open to the deepest questions about life and existence? Who am I? Who are you? Who are we? Why do we exist? Who created God? What is consciousness? How can we more fully open to the gift of this sacred moment? Let us open to the sacred place of divine mystery which lies both deep within ourselves and out in the most expanded realms of the universe. Knowing, yet not knowing, let us choose to open to the sacred places within and without where we have access to all knowledge. At the same time, let us not forget that from another vantage point, we know nothing at all. The divine mystery is unfathomable, yet we can always grow and expand our souls and consciousness futher. Consciously choosing to engage fully in the cosmic dance of life, let us invite ourselves and all around us to open ever more fully to this grand mystery of which we are all a part. 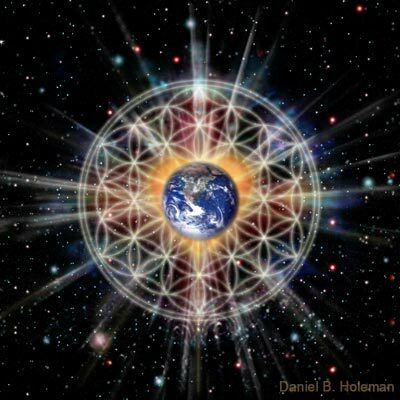 May we co-create a beautiful web of love and interconnection with the divine essence which resides in all beings throughout this great multiverse. This Divine Mystery website was developed by spiritual journeyer Fred Burks, founder and executive director of PEERS and it's empowering websites. Fred's deepest intention in life can be summed up with these simple words, "I give all that I am into the service of All That Is." From this place of service to all, Fred invites those who visit here to join in exploring life's deepest questions and to co-create the life and world we all know is possible. Always opening to spiritual guidance, Fred has traveled to places and realms in this world and beyond which have incredibly expanded his horizons and understanding of the mysteries of life. Yet he is also all too clear that in the end, life is a great mystery to be explored together by us all. You are welcome to join in exploring this magical mystery with us with as much love and conscious awareness as is best for you. Note: For more on the unusual life and transformational work of Fred Burks, click here. See several other inspiring poems he wrote at this link. To welcome more love into your life in a most inspiring way, see the Web of Love website Fred created at this link. For the PEERS network of empowerment websites managed by Fred, click here.